Pair the PUCK with the corresponding remote on the PUCK app. Hold PUCK about 12 inches in front of TV and aim the “eye” towards the IR receiver. To locate the IR receiver, hold the TV remote close to the edge of the TV (within 2 inches) and repeatedly press a command such as “Volume”. When the TV responds, you’ve located the IR receiver! This is where PUCK will need to be attached. 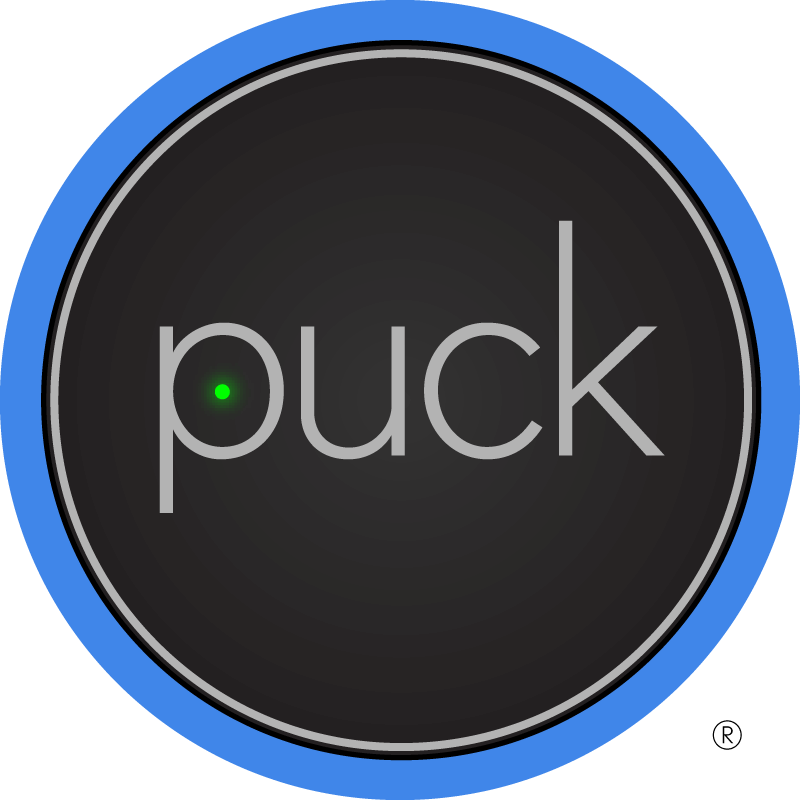 While holding PUCK, press a command on the corresponding PUCK remote app. If the TV responds, attach PUCK near the IR receiver. It may be necessary to adjust PUCK to optimize it’s performance. If PUCK does not respond, it may be necessary to change the code set on the PUCK app. This can be done by clicking the settings icon in the upper left, then selecting the corresponding remote. Click “Edit” in the upper right once the remote is selected in settings, and change the code set. Copyright © 2018 SmashToast, Inc. All Rights Reserved.